Three major reviews of the Lenovo Thinkpad X1 Carbon hit the web this week and it was immediately clear that we were looking at something very special. 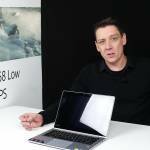 Engadget calls it the ‘definitive Ultrabook for Pros.’ ABCNews (penned by the well known ex-blogger Joanna Stern) said it is “now the Ultrabook to beat.” We’ve analysed the three reviews and here’s the summary. Lets start with the keyboard. Lenovo Thinkpads have a reputation to keep and this back-lit unit won’t disappoint. “If you spend your day typing, this is just the type of keyboard you want to be typing on.” says ABCNews. Others also have positive things to say about the keyboard, and the trackpad. The screen is a 14” Anti-glare 1600×900 panel with wide viewing angles although this isn’t an IPS panel and it isn’t a full HD panel. Engadget sends a warning out over the brightness saying it’s not good enough for outdoor use. 300 nits brightness is generally not enough for sunlight usage, it’s true. On battery life we’re seeing the 45Wh battery (not the biggest, but OK for the weight ) return the expected figures. 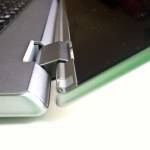 A well engineered Ultrabook drains about 8W on Web work scenarios with 50% screen backlight. ABCNews reports about 5hrs non-stop use. Engadget reports 5hrs of video playback and NotebookReview recorded 6hrs of Web activity with a 75% brightness which matches a 7.5W average – not bad at all for the battery size and screen brightness. 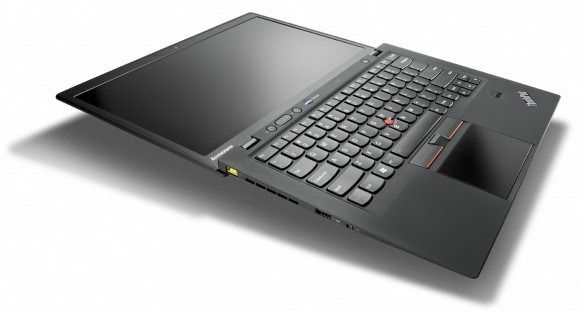 Don’t forget though that the X1 Carbon can be re-charged to 80% in 30 minutes. That’s a real advantage. Disk speeds appear to be excellent. Lenovo have made the X1 Carbon quiet but with a possible heat trade-off though. We like the WiFi off switch, reports of good ruggedness, an included Ethernet adaptor, small dimaensions for a 14” Ultrabook, 180 fold-back screen. We don’t like the fact that it only has a Mini Display port for external screen. Now we get to the price. $1399 for a Core i5 Ultrabook with 4GB of RAM and a 128GB SSD, 1600×900 screen. Is it expensive? There isn’t much out there to compare it with to be honest. The 13.3″ Samsung Series 9 NP900X3C-A01US at $1250 (Amazon) is the nearest competitor and although it’s $150 cheaper, it isn’t a Lenovo Thinkpad. Considering that the Acer S5 with 1366×768 screen is $1300, we think that Lenovo have priced the X1 Carbon just about right. There are no major issues we can see here apart from the fact that the X1 Carbon won’t take a Lenovo slice battery. Apart from that, the X1 Carbon really does look like the current benchmark for Ultrabooks. How far have Ultrabooks come? Lenovo 710S Plus tells a story. 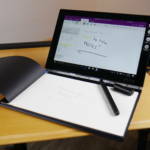 Lenovo Yoga Book. Opinion, video review. Lenovo Yoga 710 11. Mobile, convertible. And it’s great! Any more questions? Lenovo Yoga 710 11 is one of the best subnotebooks. Why don’t you like the mini Displayport? If there is no room for more ports, than i would always prefer Displayport only! You can get any signal from it with passive adapters. It is much better than hdmi and the only port you can address high resolution screens. Although Lenovo could have included adapters for VGA. It’s a matter of having to carry adaptors when mobile. At some point you lose/forget them and then it’s somewhat embarrassing when you can’t give that presentation. At the desk I don’t see a problem of course. What video ports do most of your presentations require? At work, we use projectors and they either take VGA or DVI. I doubt many ultrabooks will get full-sized video ports. Since they have to go with a mini-port, then a mini-DisplayPort seems like the most versatile option. Thats what I am talking about. You have to carry adapters anyway, because no Ultrabook has full sized Ports except for HDMI and Displayport sometimes. Asus Zenbook Prime for example needs adapter for VGA or even normal HDMI, so why not Displayport in the first place? It’s frustrating that they have a Mini-DP port and didn’t make it Thunderbolt. That would have been nice, but with usb3 it’s no deal breaker for me. The Vizio has a bad keyboard, bad touchpad, and no trackpoint. When is that thing available in Europe (Germany)? This laptop is so overhyped. No discrete graphics. 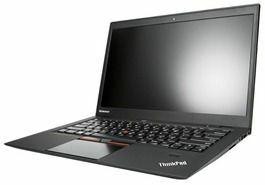 There’s plenty of other laptops with similar specs for a similar price. The main thing you’re paying for is a fancy carbon shell, aka something to brag about that shaves off a few ounces of weight. The selling point isn’t price or specs. It’s ergonomics, enterprise support, and business features. I’m pretty sure its the first ultrabook to pass the mil spec tests. I want one! How good is that screen bezel!?! Build quality looks awesome, and all that carbon! It would be perfect for a programmer like myself who demands a great keyboard and input control. It appears the screen isn’t IPS, however as a TFN it’s a very good one, and it’s matte to boot. 1600×900 in 14″ is probably a very nice daily driver for my purposes. One bummer is that the i7 appears to be configurable for 4GB max; its sizing or other issue means you’ll need to downstep to the i5 to get 8GB. I’m hanging to see the Aussie pricing now, and also how well it will run Ubunto (I plan on dual booting it). 4 GB RAM are not enough and X1 does not seem to be upgradable. That’s a deal-breaker. 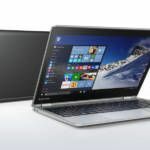 What about comparison with Toshiba Z930 and Sony Vaio who seem to have better specs and similar pricing? Daniele – the RAM is upgradable (2 SODIMM slots). HDD and Battery are not user replaceable. Laptops are not created equal simply from a proc / ram / hd specs perspective. Business laptops have business grade features. All other closest competitors lack the enterprise features available from Thinkpad. 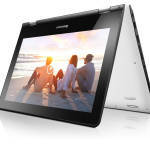 « Poll: What are you Waiting For in Ultrabooks? How to survive with 32 GB. How to get the most storage out of your Windows PC with 32 GB storage. Tablet PCs with digitizer pen support Tablet PCs with digitizer pen support. Handwriting, annotations and more, with ease. Testing DIAL, DLNA and Miracast on Windows 10 Three remote ‘casting’ methods tested. Ultra Mobile PC Buyers Guide Ultra Mobile PC Buyers Guide in 4 detailed parts.